Arrive just in time to enjoy the NZ summer in early 2019. This is the ideal location to enjoy the beach lifestyle in beautiful subtropical Northland region. Whangarei Hospital is the largest hospital in Northland providing secondary care services, supported by three regional hospitals in Kaitaia, Kawakawa and Dargaville. We are seeking a Consultant Otolaryngologist to be based in Whangarei on a permanent basis, joining a team of 4 other Consultants, two Registrars, and a House Officer. You will have broad specialist experience in Otolaryngology and ideally will be fellowship trained in subspecialty ORL (Rhinology and/or Head and Neck preferred), with a comprehensive scope of practise to cover most general ORL conditions. 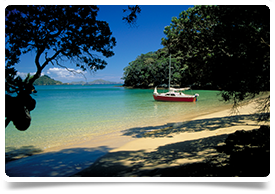 Whangarei is called the “Meeting place of the Pacific” because of its many international yachting visitors and the Northland region boasts some of the most scenic and exciting coastal areas of NZ in a subtropical climate. Its rich in Maori and European history, some of the oldest traces of Maori settlement can be found here and newcomers will experience a real connection with the culture and way of life. Popular water recreation areas include the Bay of Islands and Poor Knights Islands Reserves for world class scuba diving (PADI), sailing and fishing. You can also enjoy al fresco dining, extreme sand boarding, paddle boarding, mountain biking, golfing, hiking and mountain biking and so much more. Whangarei has easy access transport links to Auckland, New Zealand’s largest city, which is only a two hour drive away. There is also a busy domestic airport, with numerous daily flights to Auckland (35 minutes) that connect to Auckland International Airport. Ideally you will hold FRACS (Otol) and full Vocational registration with the Medical Council of New Zealand (MCNZ). Alternatively, if not NZ trained or based, you will hold equivalent specialist qualifications from either the UK (via CCT), Ireland (via CCT), Australia, Canada or USA that will enable Provisional Vocational (long term) registration or Locum Tenens (short term up to 12 months) registration as an Otolaryngology Head and Neck Surgeon. These are the specialist pathways for medical registration in NZ for Otolaryngologists and we can assist with medical registration and work visa applications if you are successfully appointed.